We are mobile! 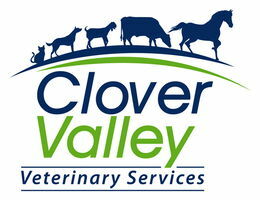 Enjoy the convenience of complete veterinary care for all your pets and livestock in the comfort of your farm or home. With two fully stocked veterinary trucks and two full time veterinarians, we travel the entire Kitsap and Key Peninsulas, from the Hood Canal Bridge to the Tacoma Narrows Bridge. In addition, we cover 24/7 large animal (horses and livestock) emergency care in Pierce, Mason, and Kitsap Counties. We have haul-in facilities for cases requiring intensive veterinary care and close monitoring. Our veterinarians will also work closely with you to maintain a preventative health care program that will keep your horses or livestock in peak condition. Our promise to you is that through effective communication, respect and a fun, shared learning environment, we will continually strive as a team to provide compassionate, progressive, quality veterinary care. Please visit our equine preventative page and herd health care page to learn more.